Well that didn't take long. 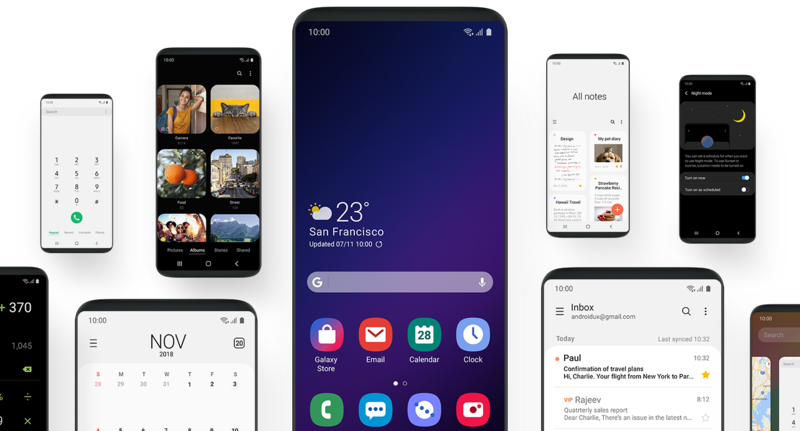 Samsung's Android Pie beta with One UI for the Galaxy S9 and S9+ has started hitting users' phones in the US. 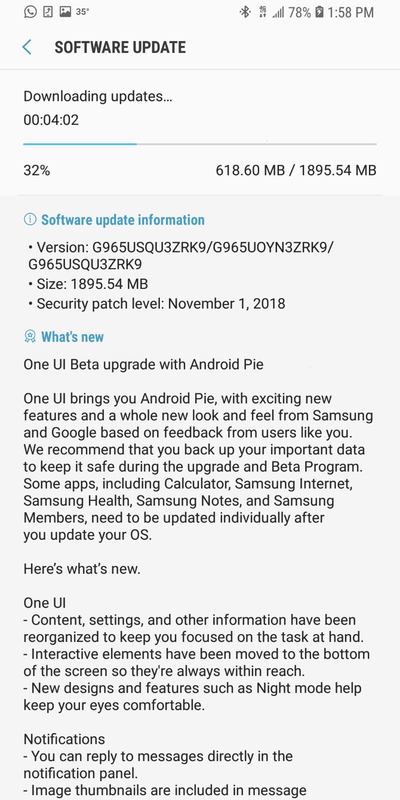 And just a few days later, Germany finally has a chance to get in on the fun, too, as Samsung's Pie beta opens in that nation, as well. 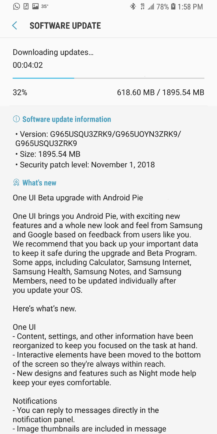 After months of rumors, leaks, and even a good look at the interface to come, Samsung's TouchWiz One UI has now launched with the Android 9 Pie beta program. 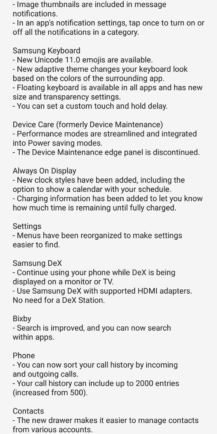 It appears to be live only in the company's home country, South Korea, for now, with Germany and the US still having to wait a little longer. 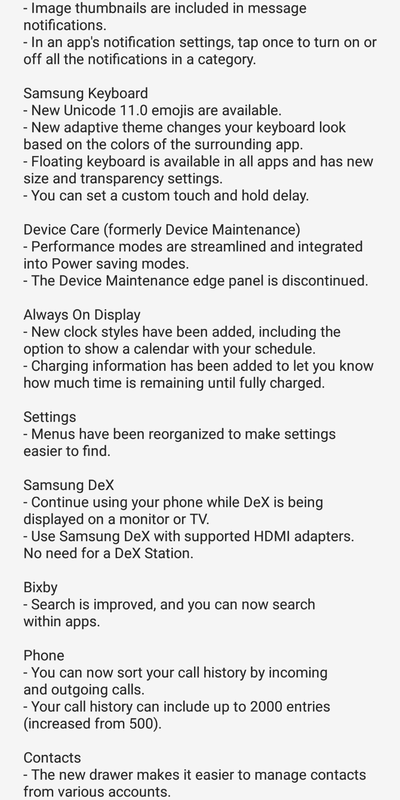 It's also only available for the Galaxy S9 and S9+, so if you have the more recently released Note9, you're going to be out of luck until the stable version is finally ready. 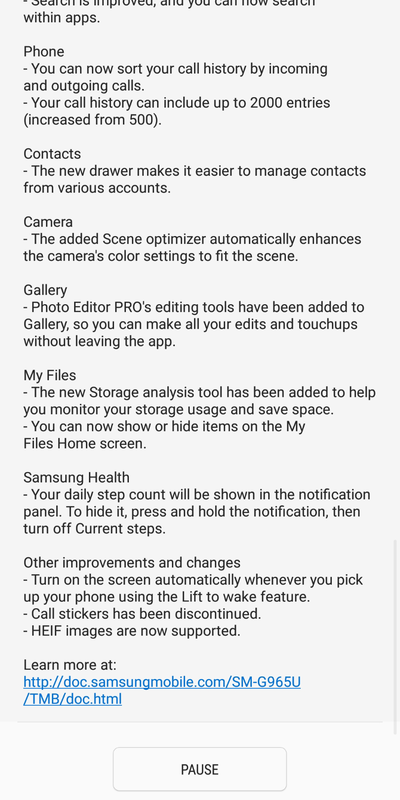 If you're signed up to the beta in the Samsung+ members app (at least version 11.2.1 is required) and you live in Korea, the update should already have hit your device for you to install — if it hasn't yet, it shouldn't be long. There's no telling when it will come to the US and Germany, so it's just a matter of waiting and seeing. 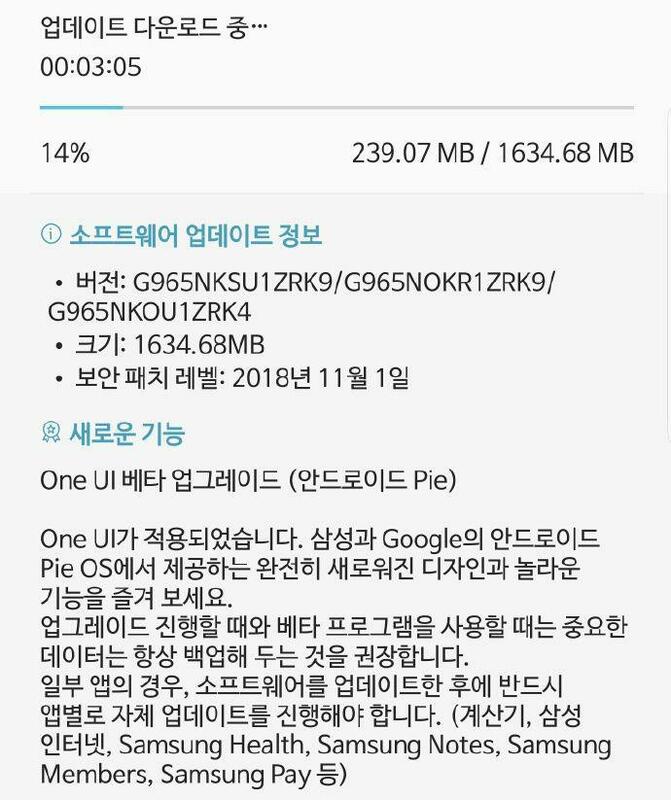 The update looks like it weighs in at 1.6GB, but we can't make out too much more from the image below since it's in Korean. 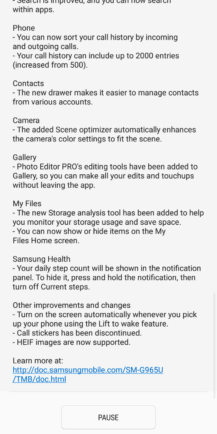 Maybe some of you in the comments will be able to shed some light.